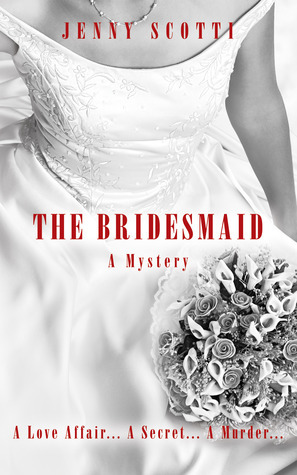 If you are looking for a book full of twists and turns, then you need to check out The Bridesmaid: A Mystery. It will keep you guessing until the end. It is full of surprises. You think you know who is guilty one moment, and the next you think it is someone else. In fact, you will probably find yourself thinking that each character is guilty at some point in the book. The only problem I really had with this book was the skipping around at the beginning of the book. I had a difficult time trying to keep all of the characters straight. There are so many and you really don't get a chance to keep them all straight in your head, well, at least in the beginning. I found myself having to go back to make sure I had everyone straight. While this is primarily geared towards women, I'm sure that most people will like this book. I recommend this for high school students and older, due to some situations. I give this 4 out of 5 stars. If I hadn't gotten so confused with the characters, I would've given this a higher star rating. Of course, maybe it was just me. I was a little preoccupied and I tend to read a little too fast at times. Some Americans may have to get used to some of the language or really British names for things. It really isn't much. I just know that some people might get a little confused because they aren't used to it. Believe me this one will keep you guessing until the end. You might think you have it figured out but I doubt you get it all figured out correctly. One Lucky Winner will receive the printed book !! Believe me you will love winning this one! !